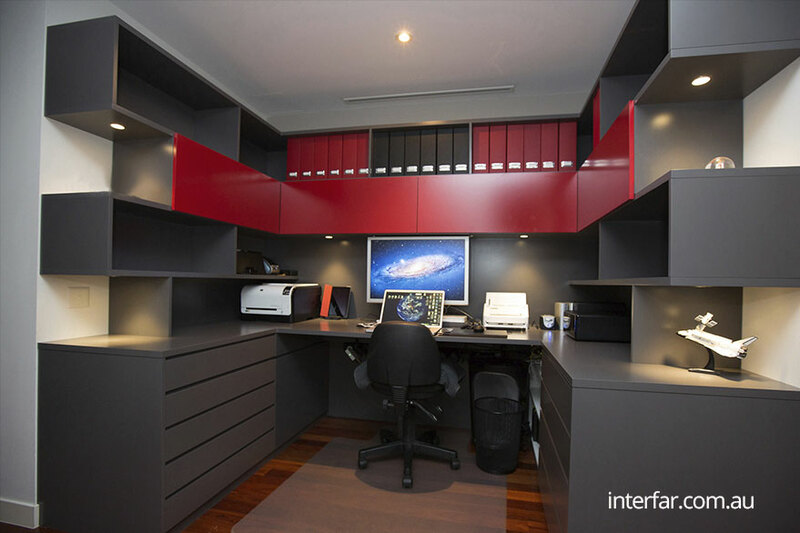 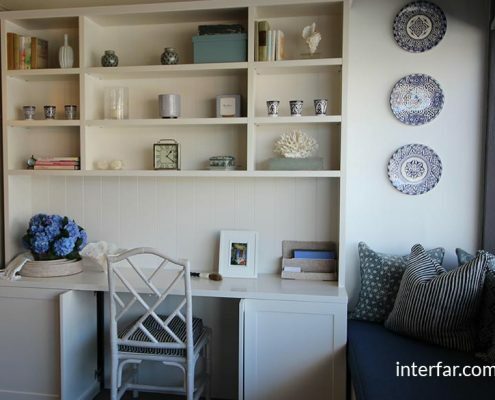 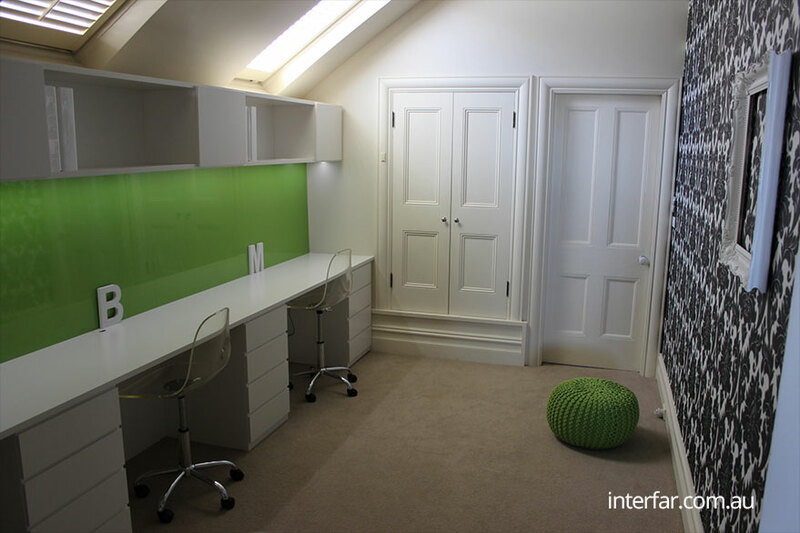 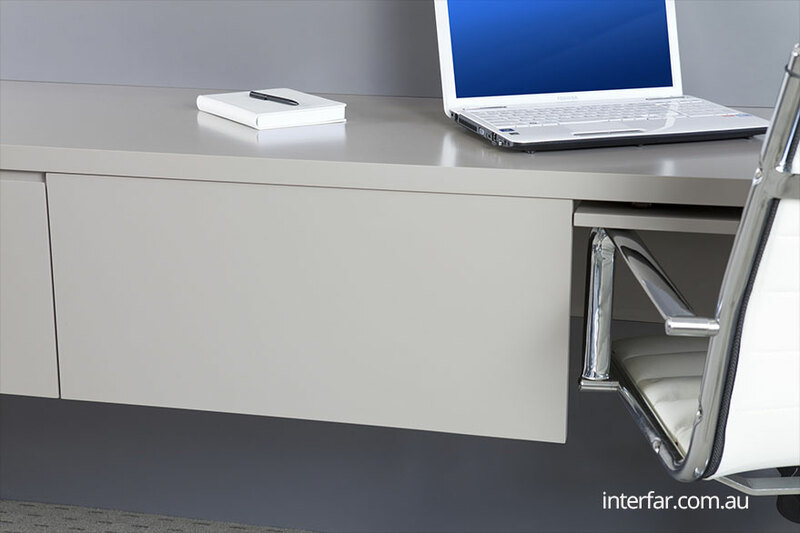 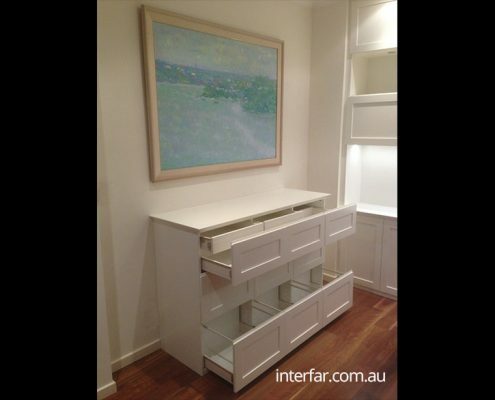 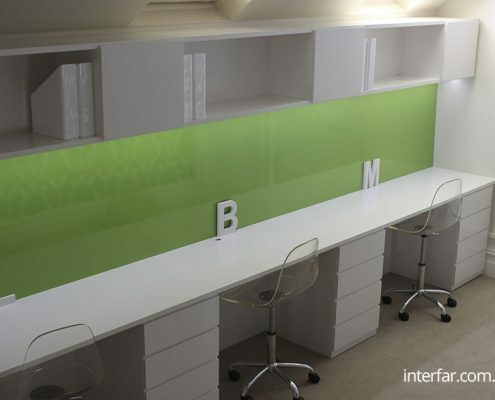 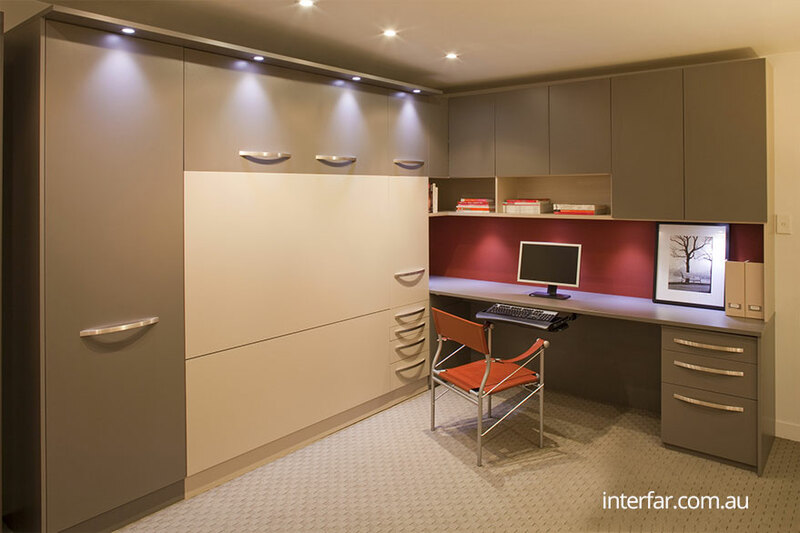 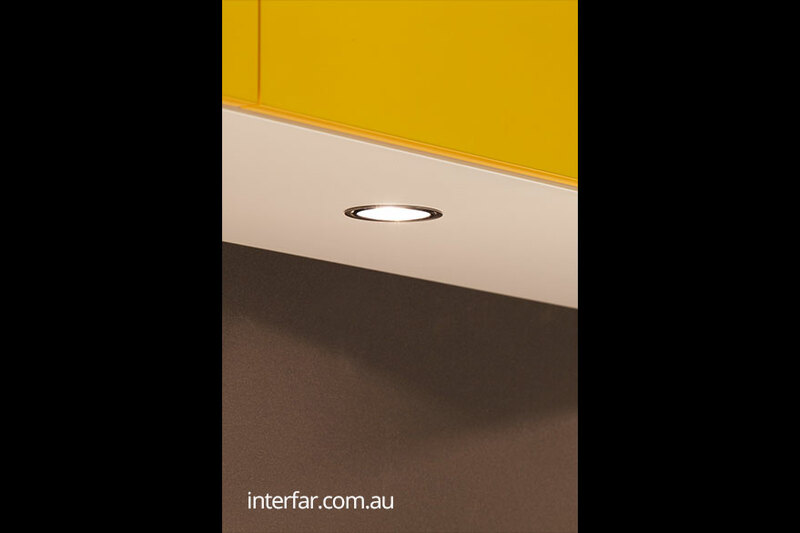 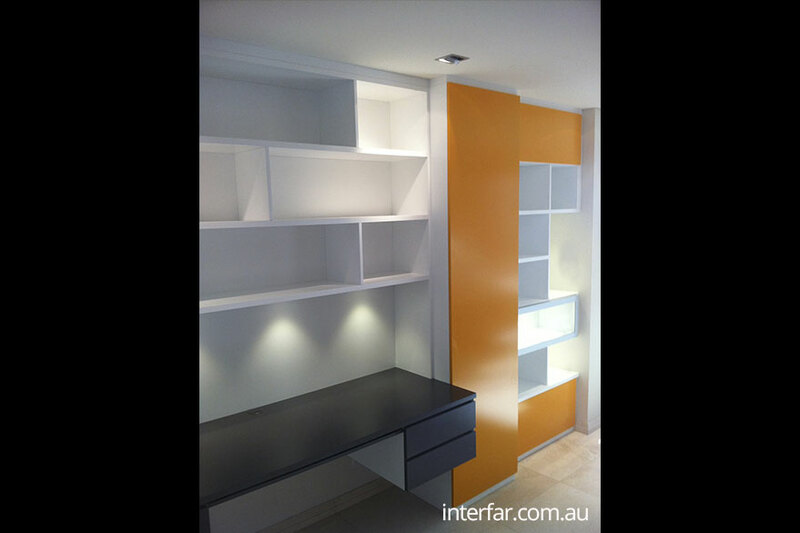 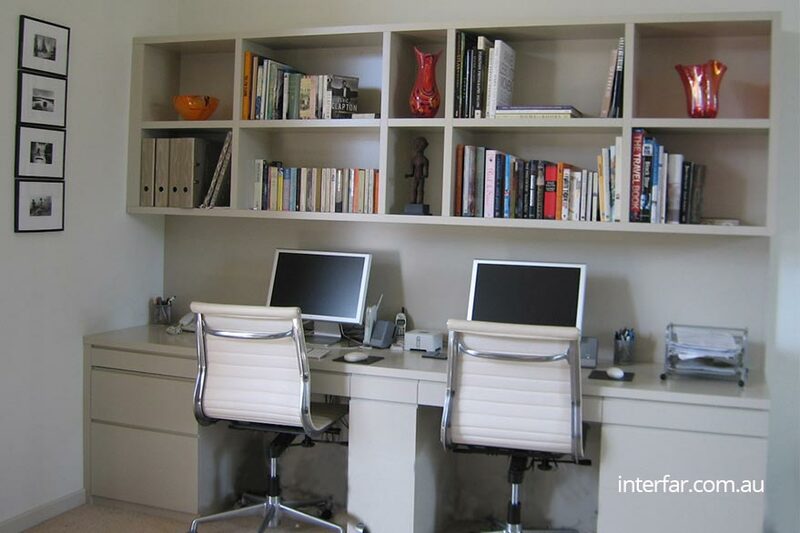 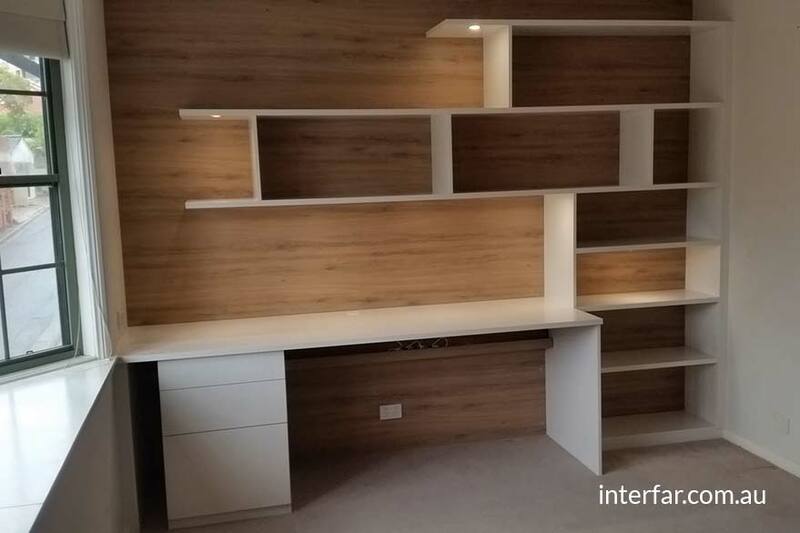 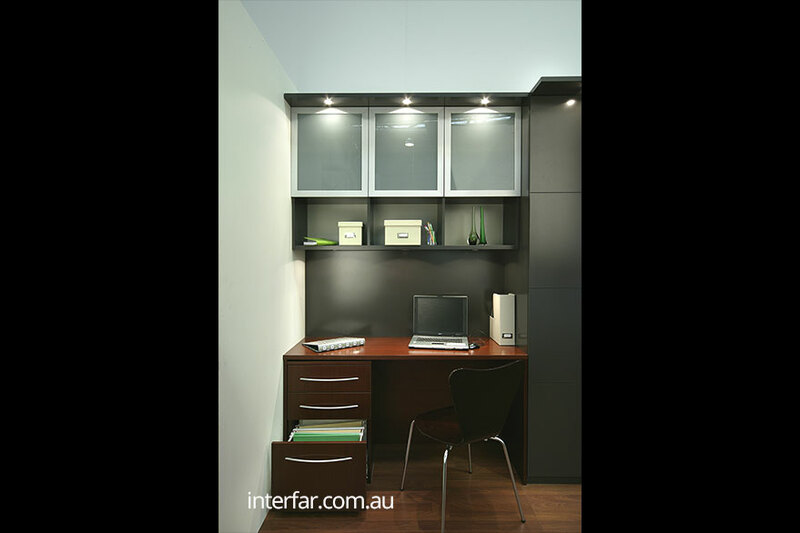 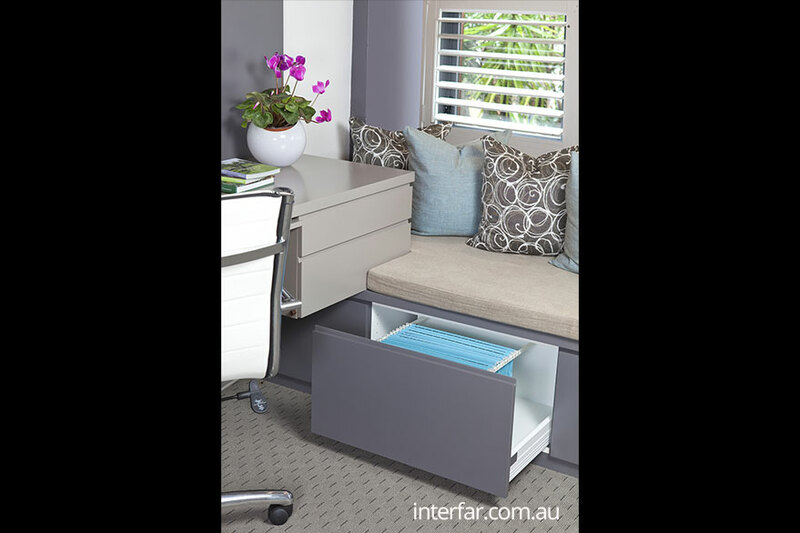 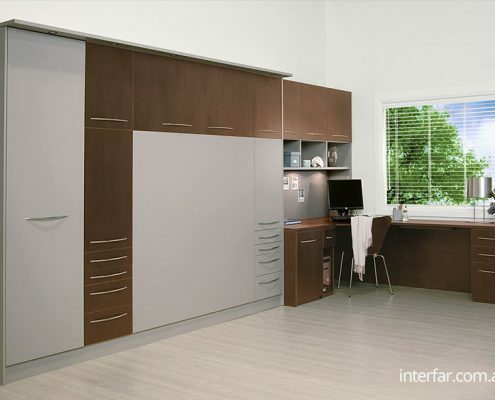 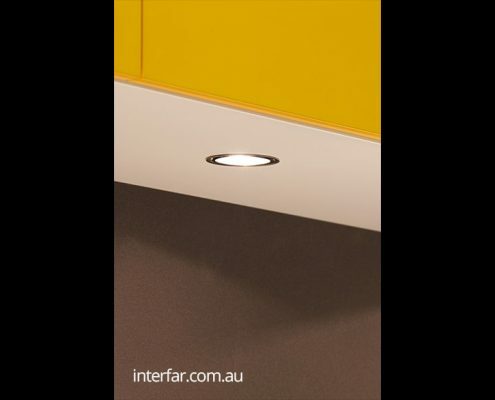 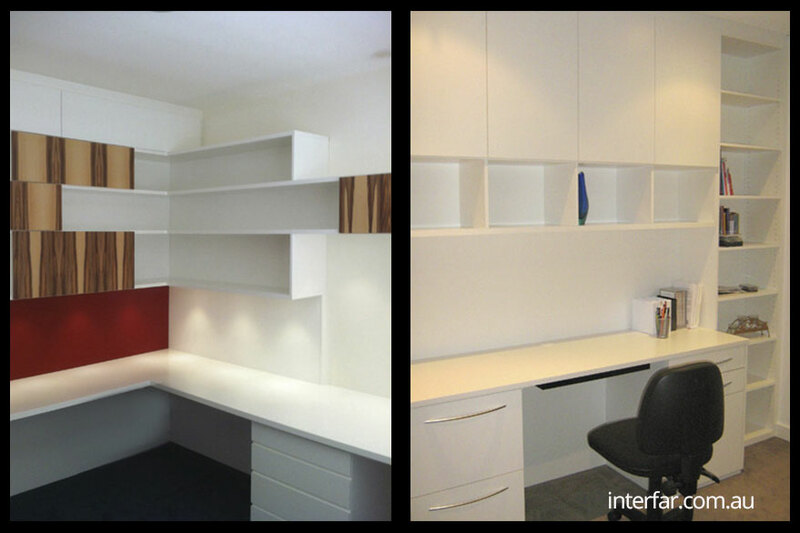 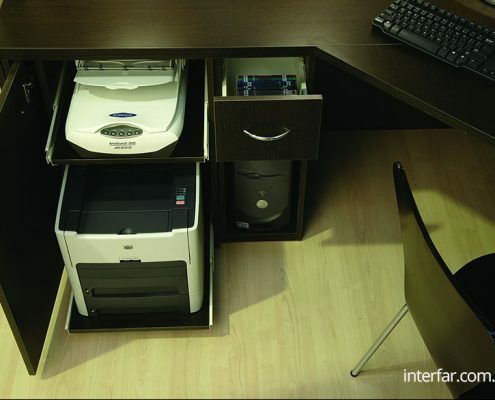 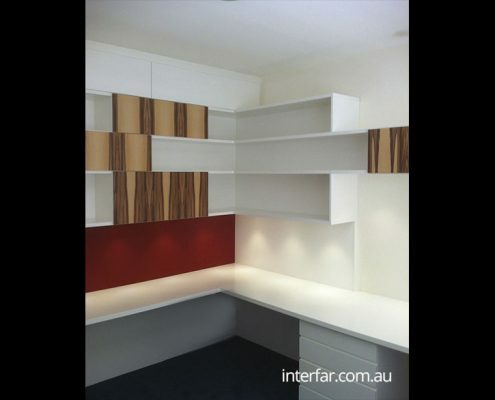 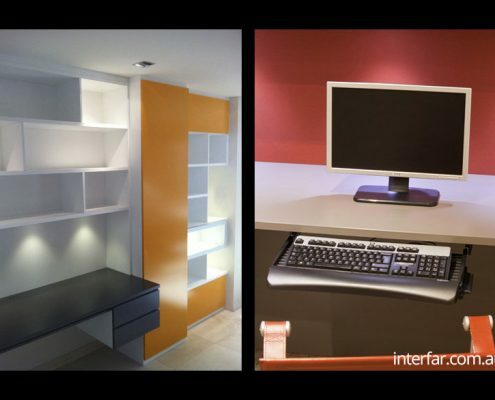 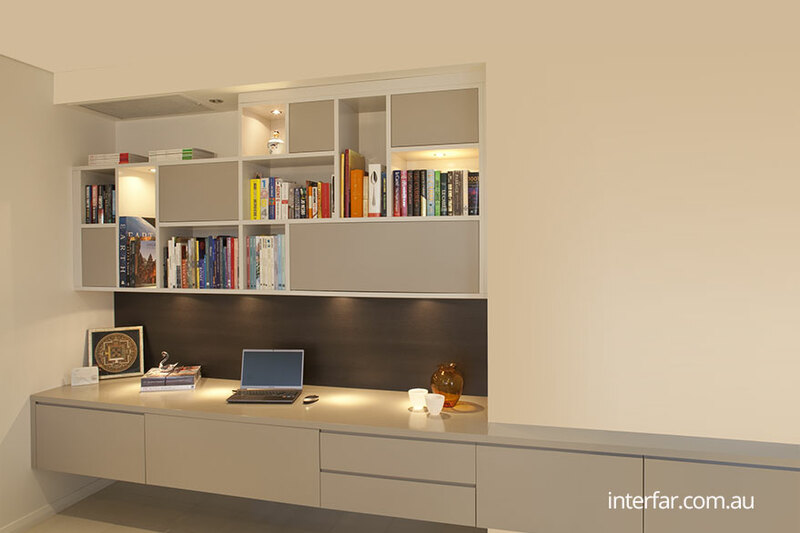 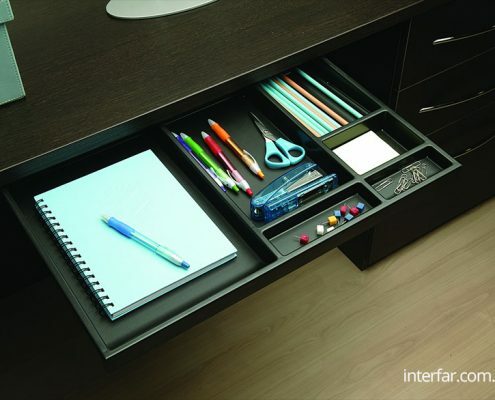 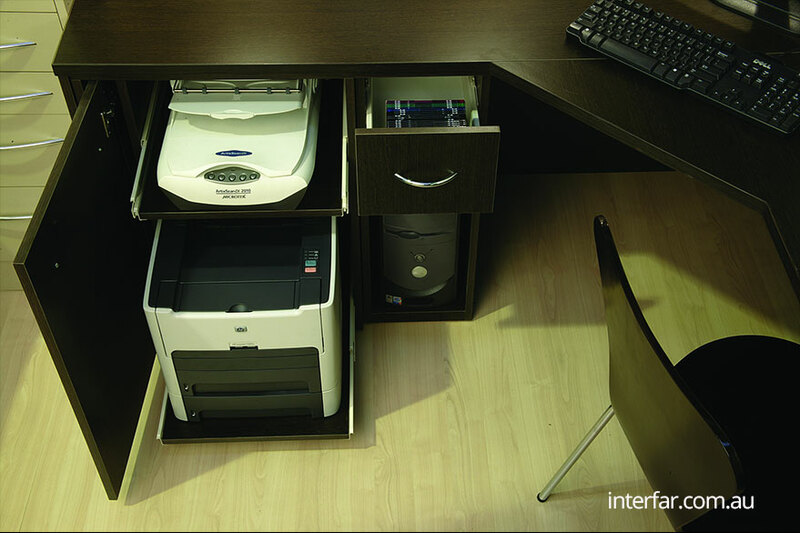 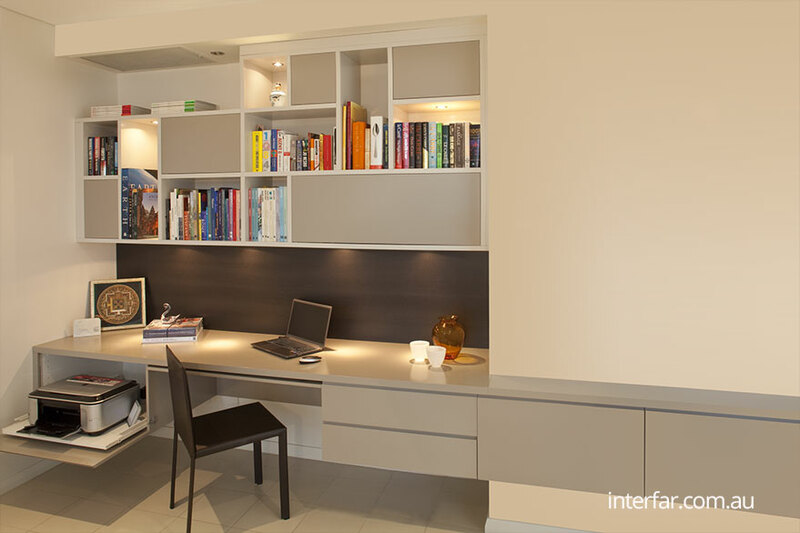 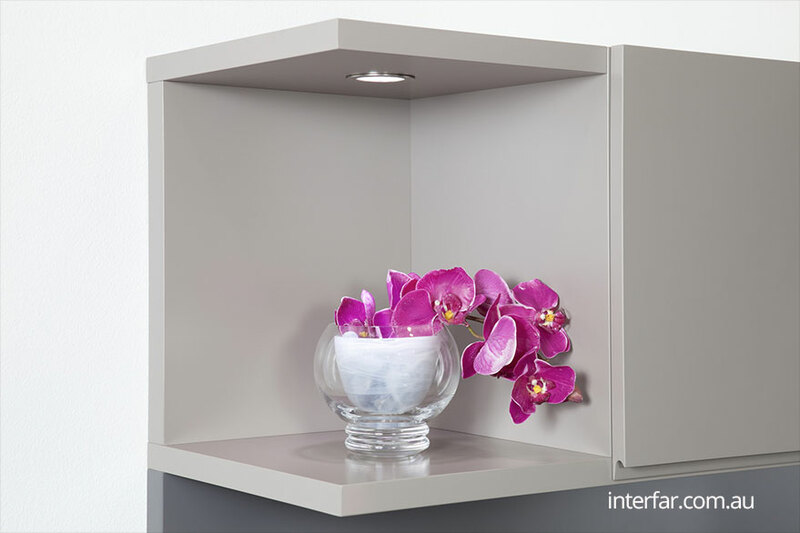 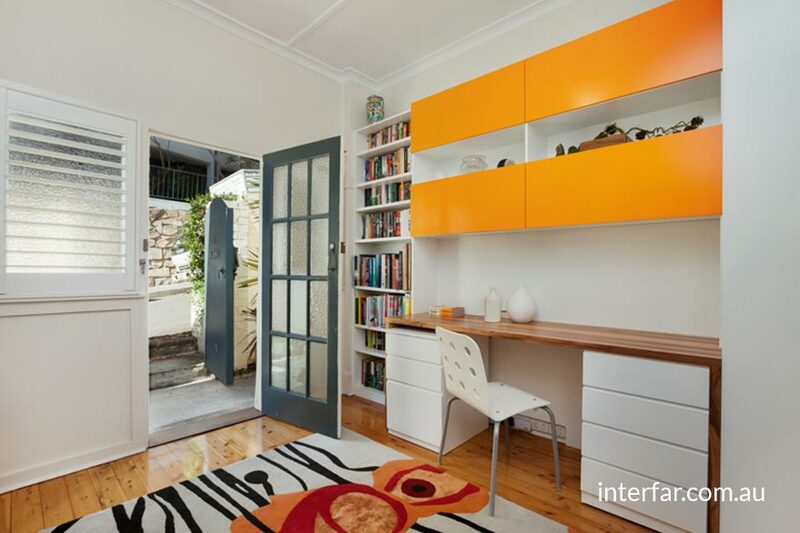 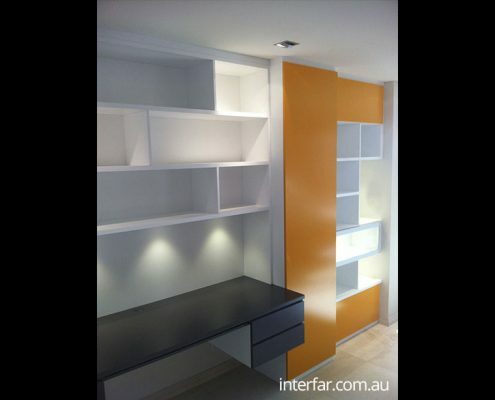 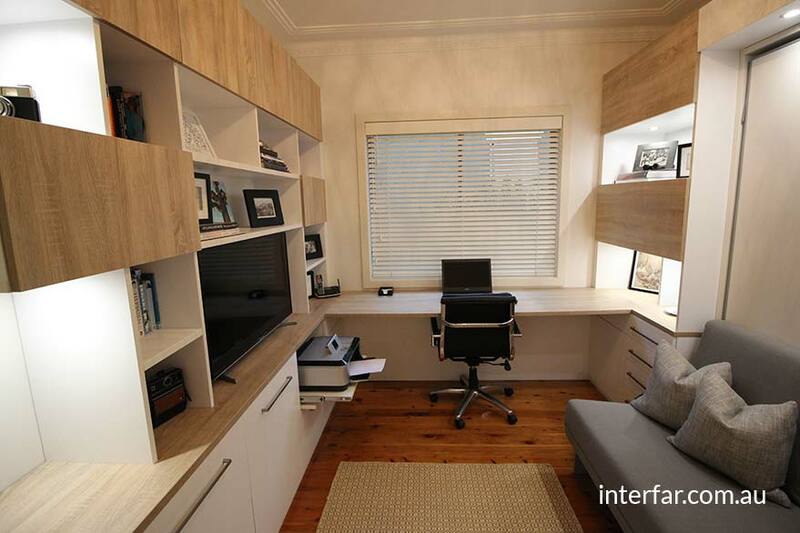 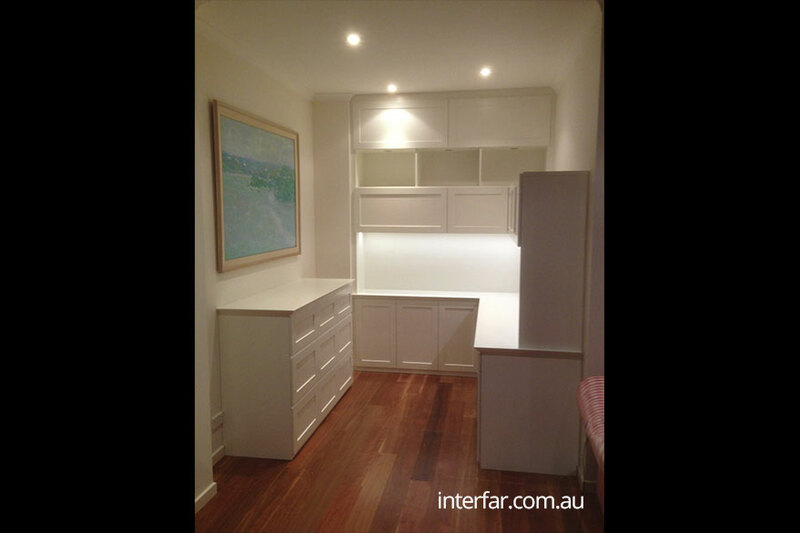 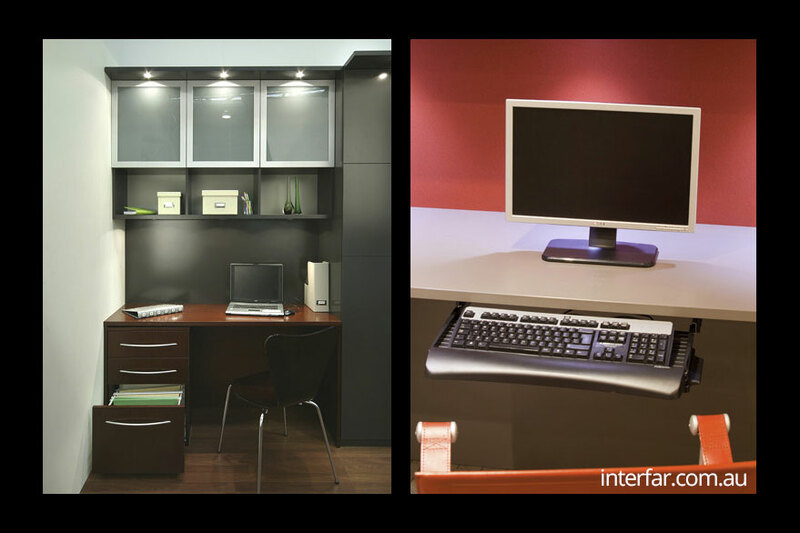 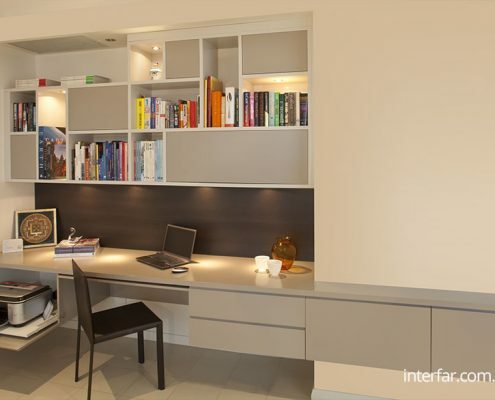 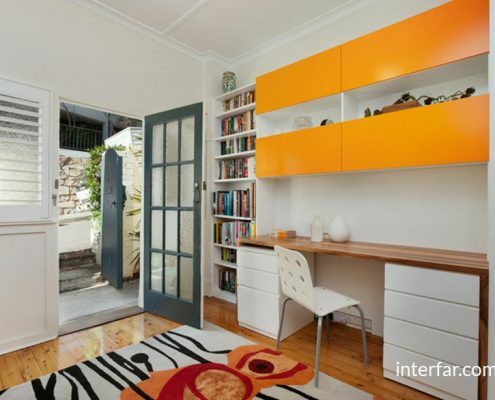 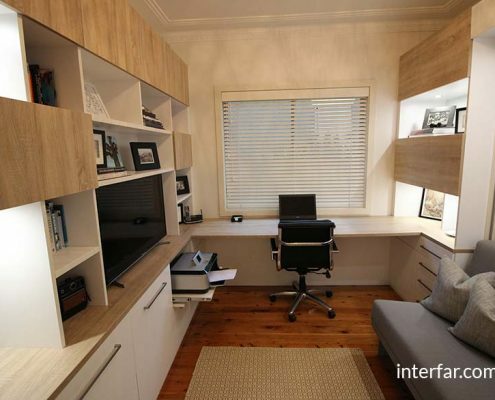 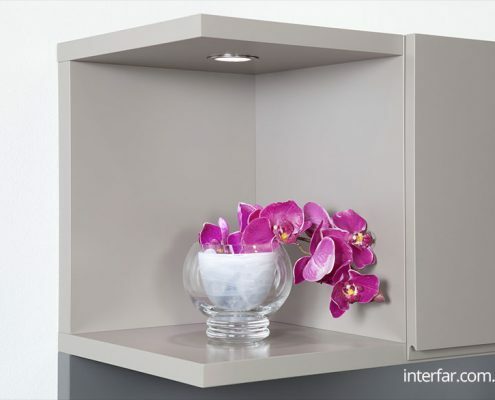 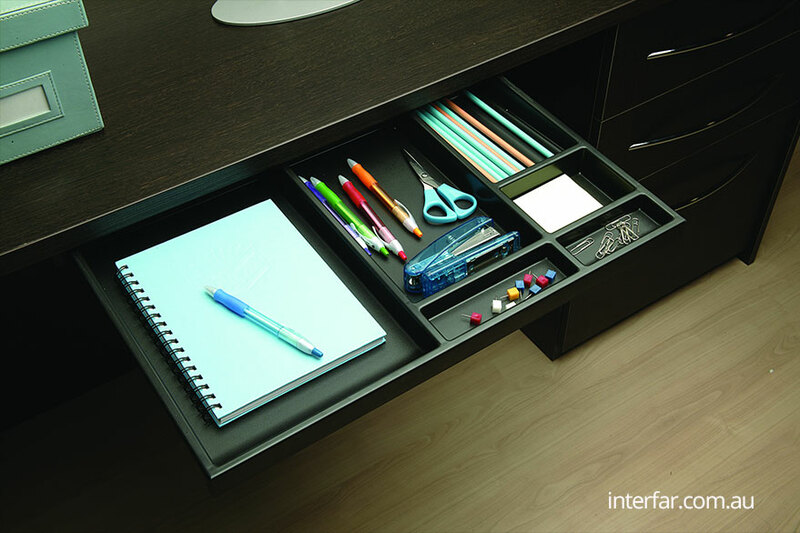 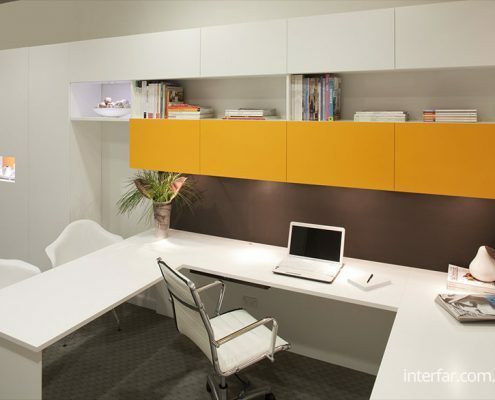 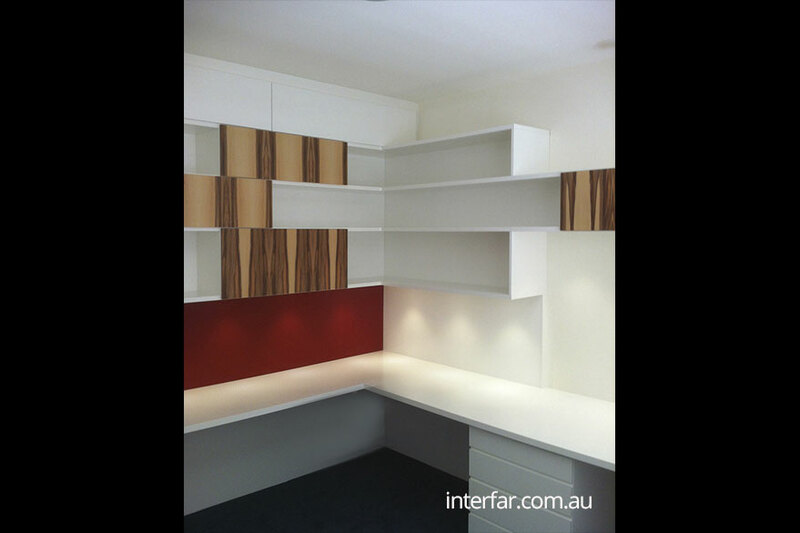 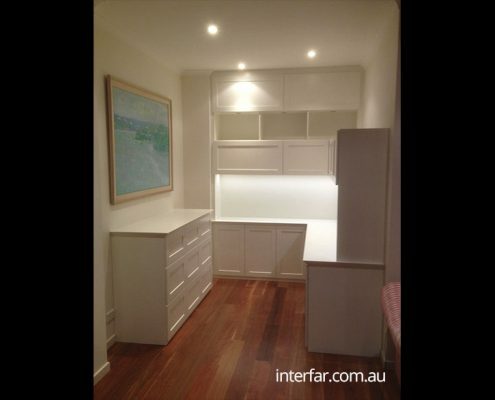 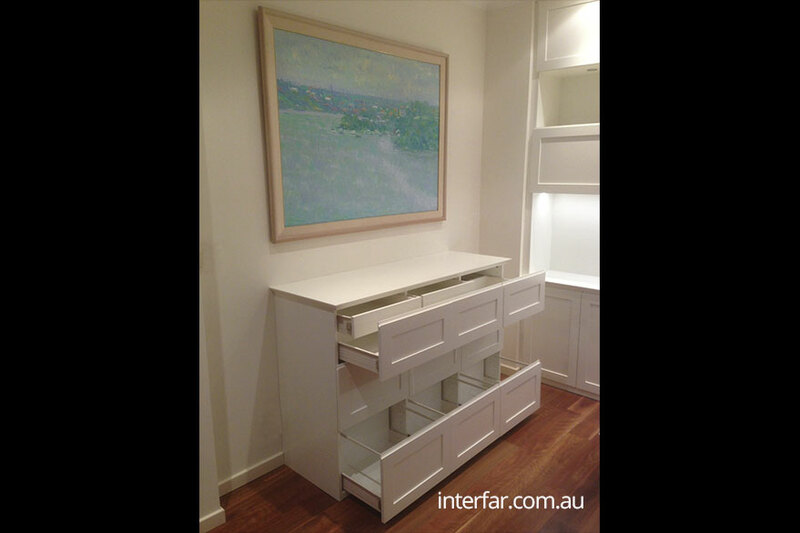 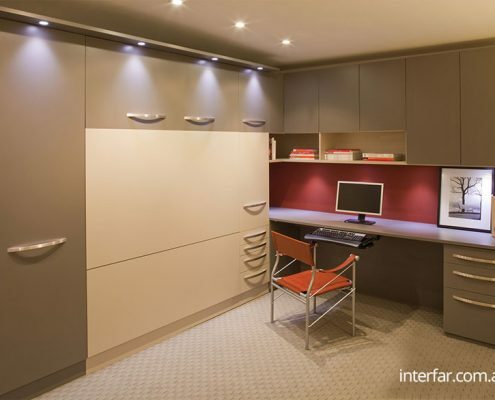 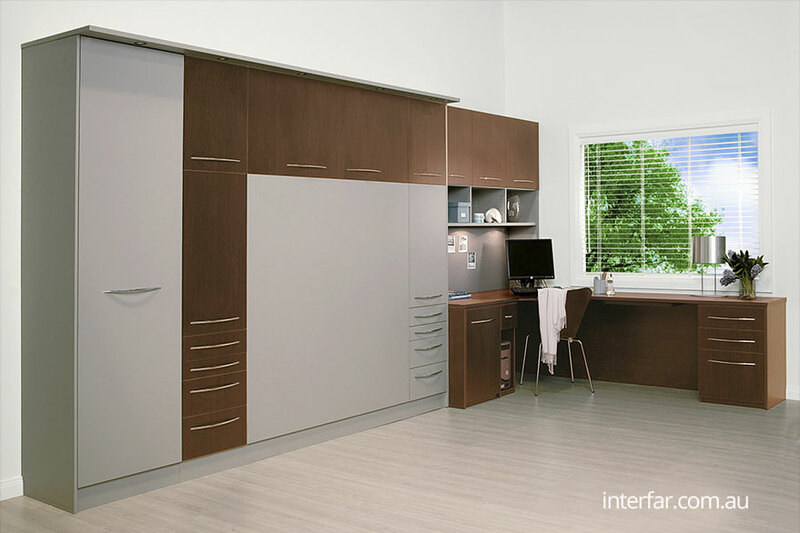 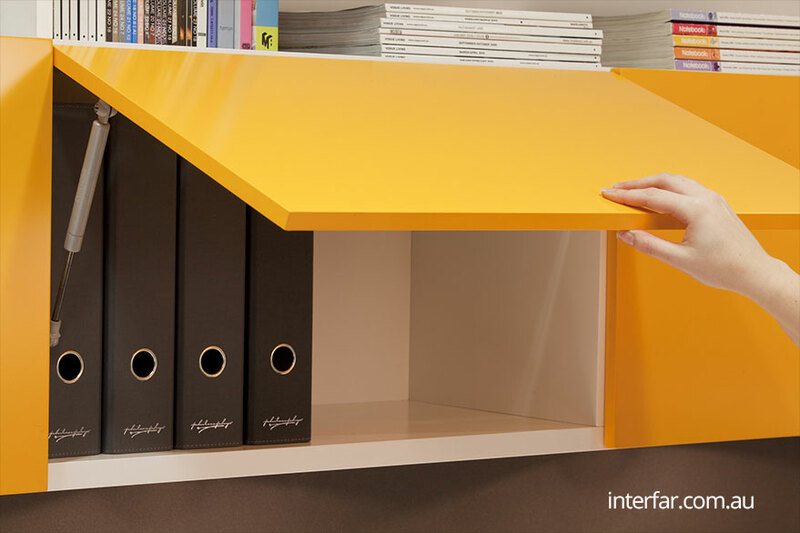 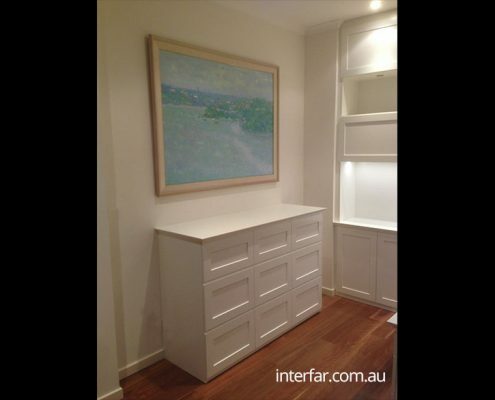 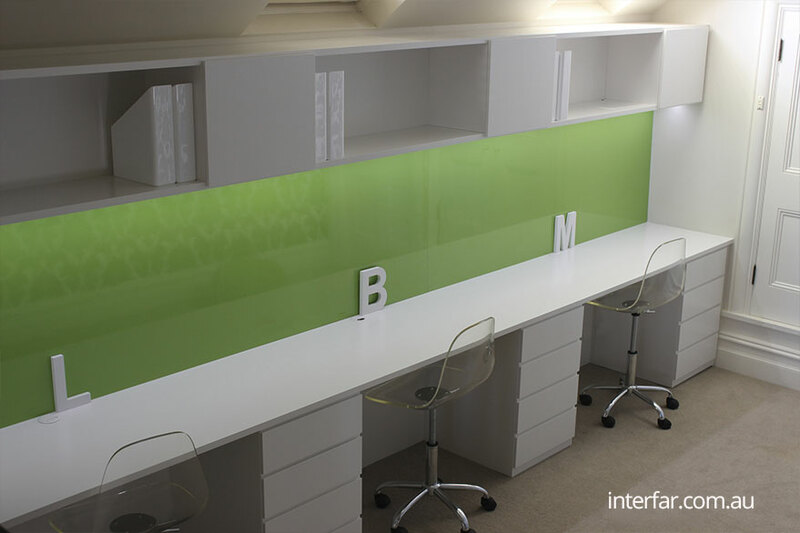 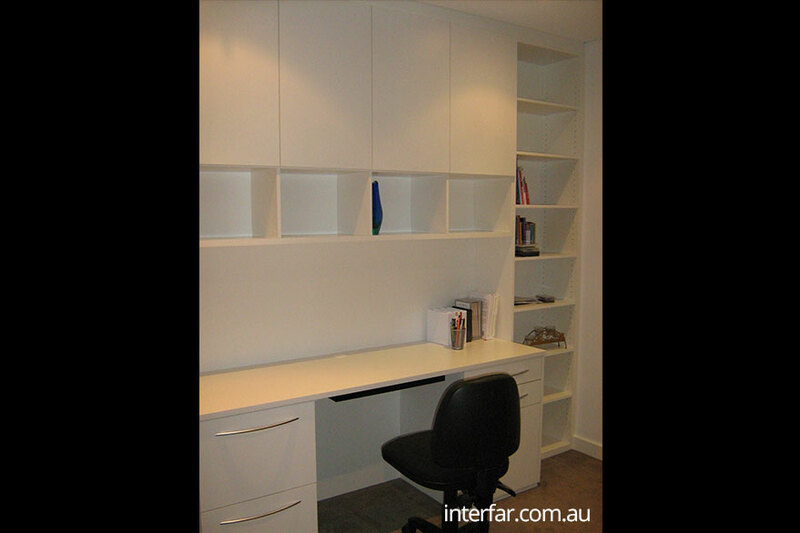 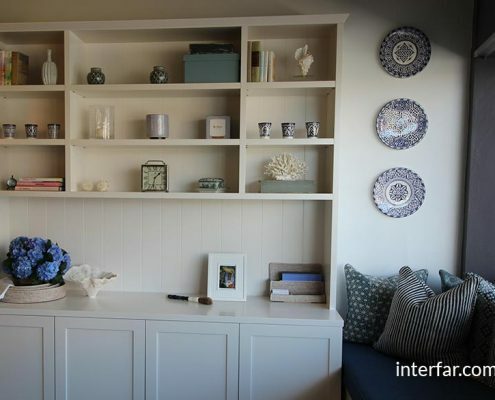 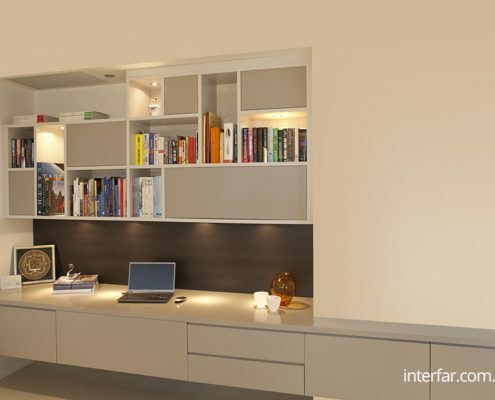 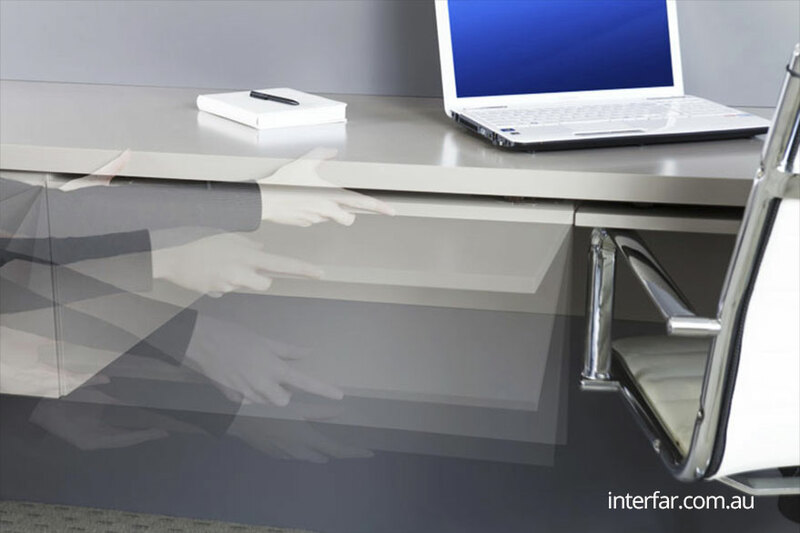 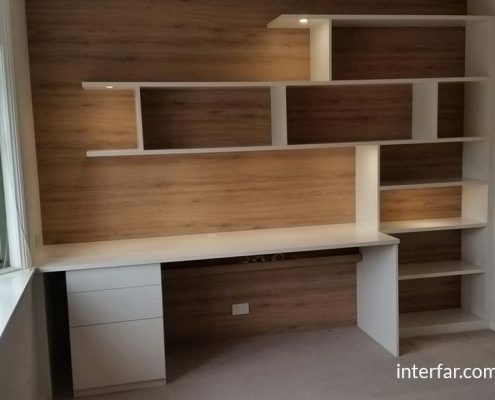 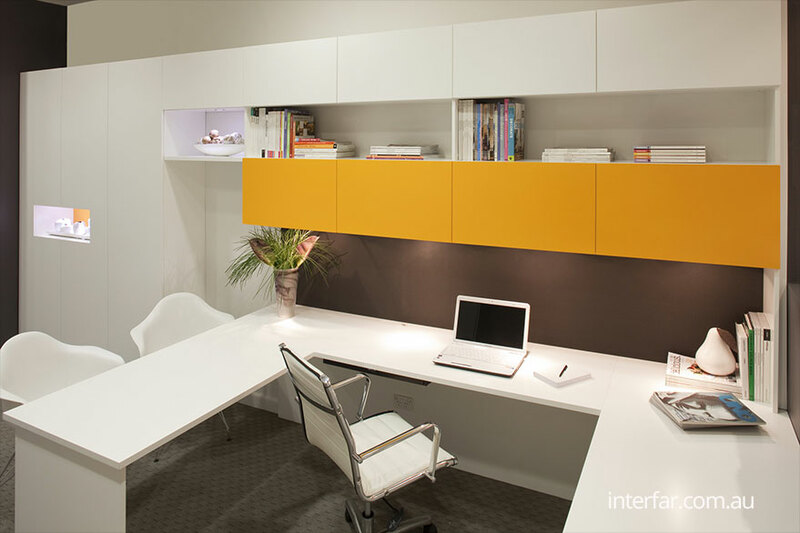 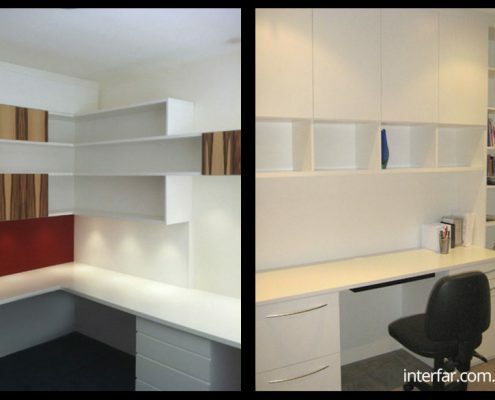 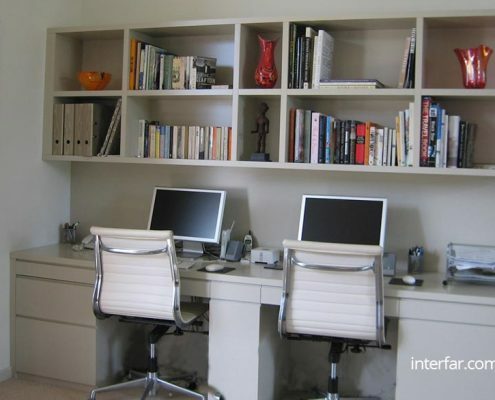 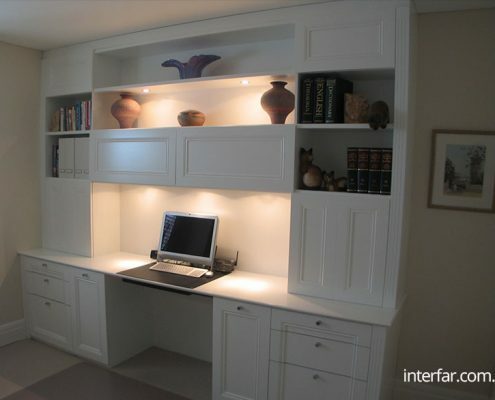 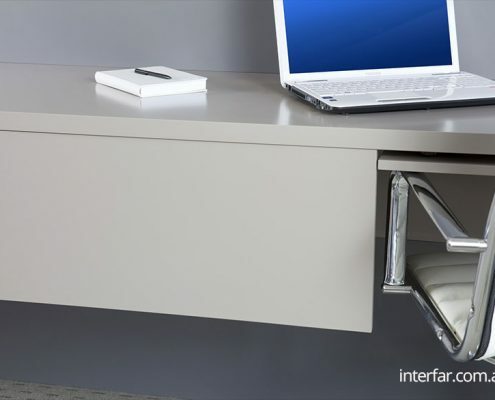 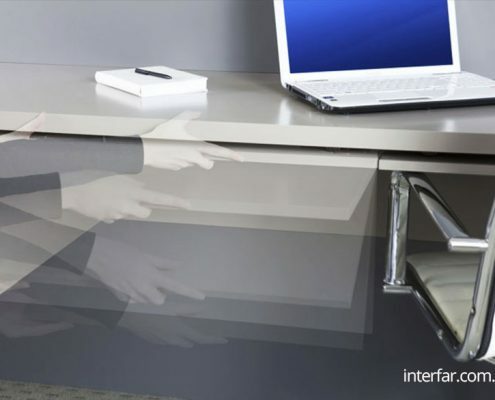 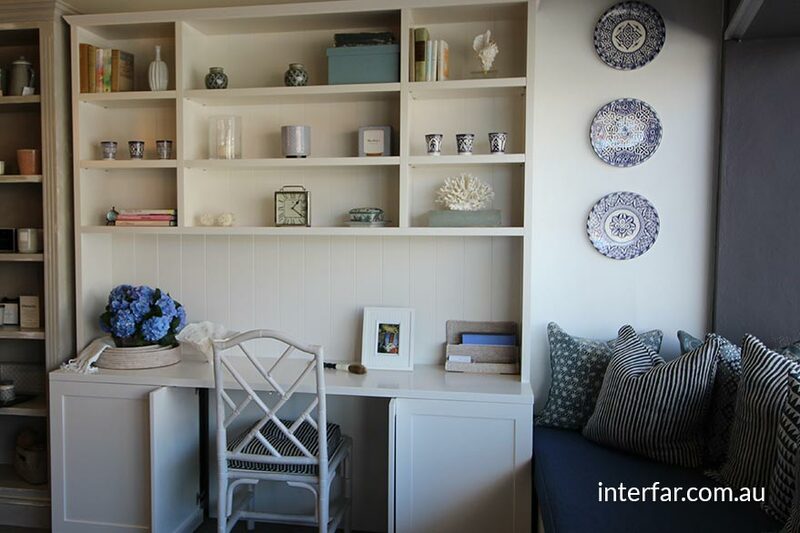 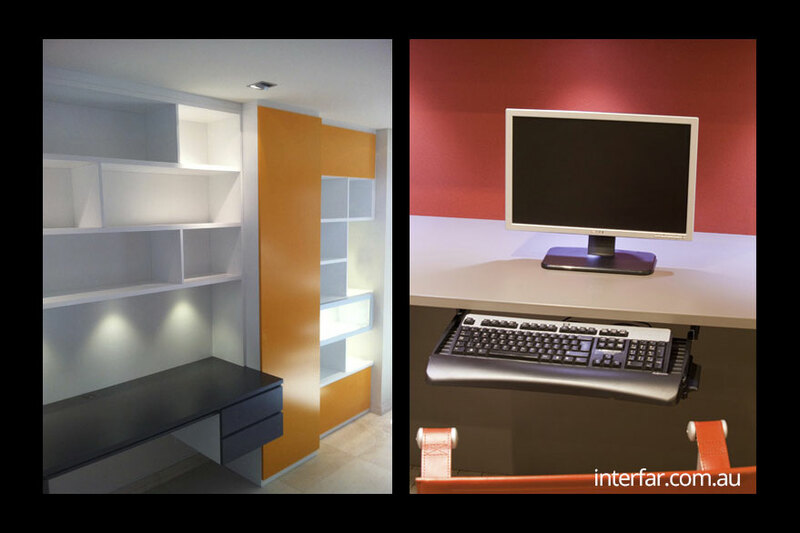 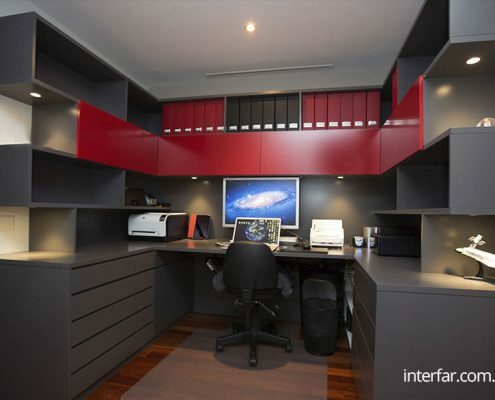 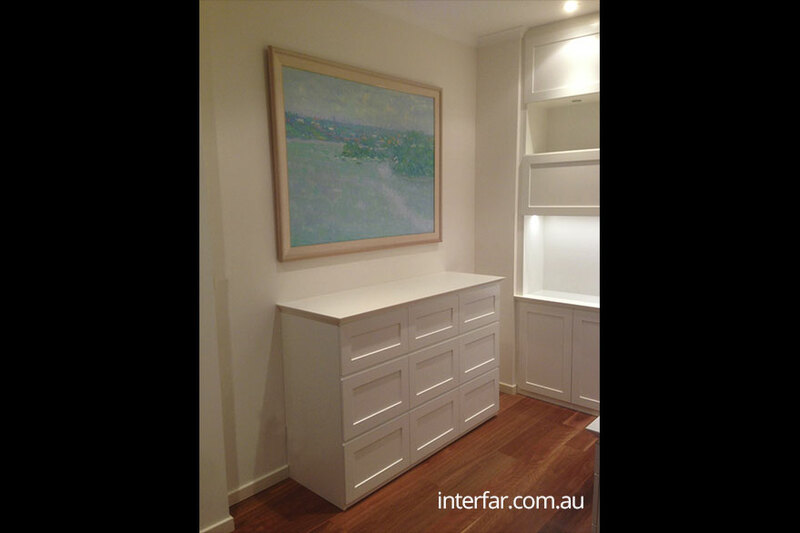 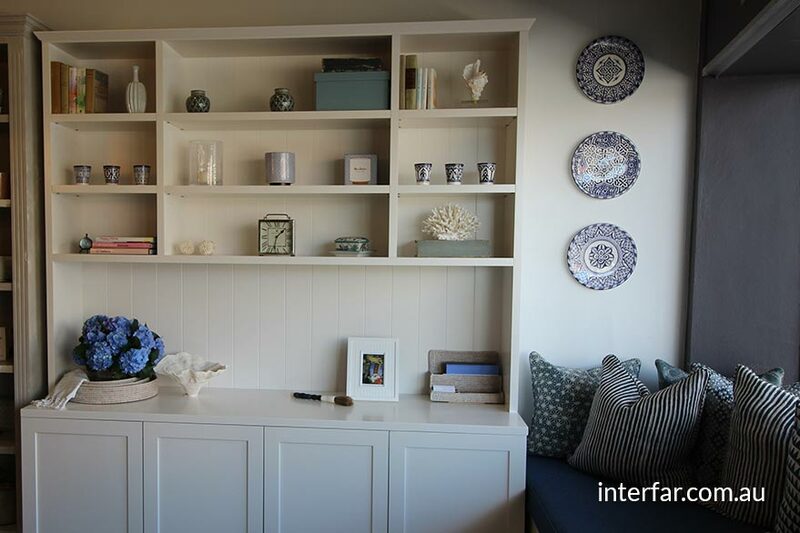 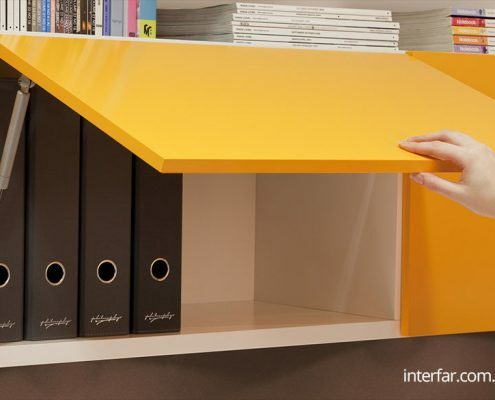 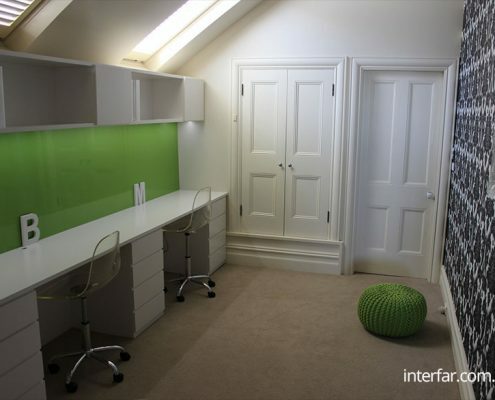 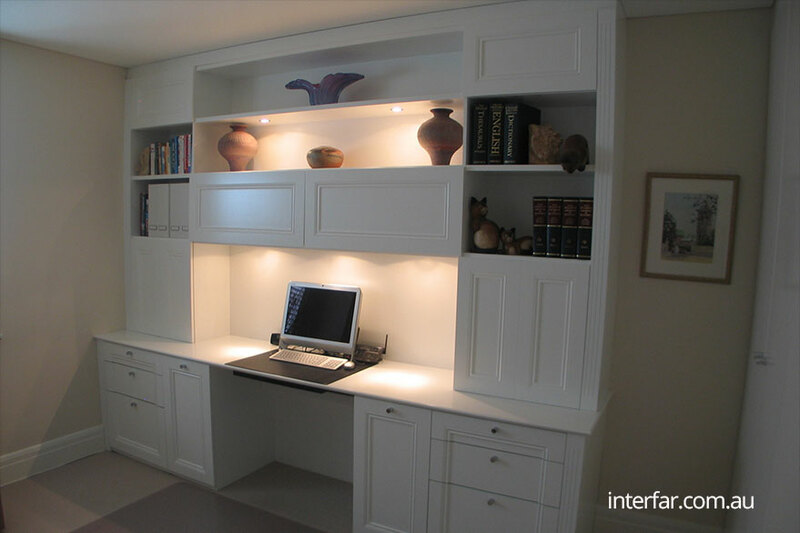 Upgrade your home office or turn a spare room into a productive work environment with your Interfar home office. 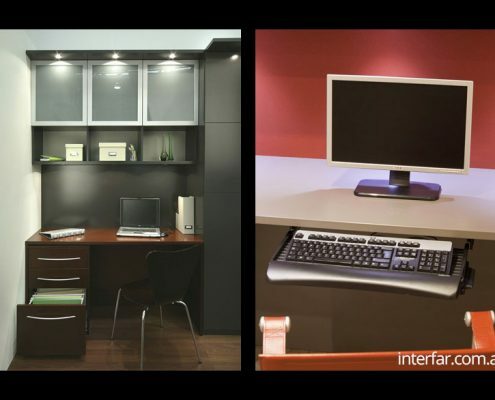 Create a stylish and comfortable area to work after hours or to operate your home-based business from. 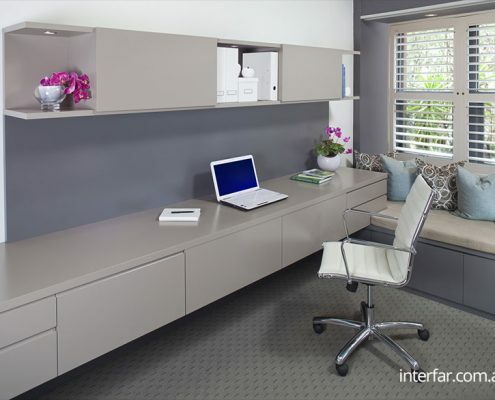 Your home office can be combined with a Wall bed for maximum use of space – use as an office during the day and a bedroom at night.